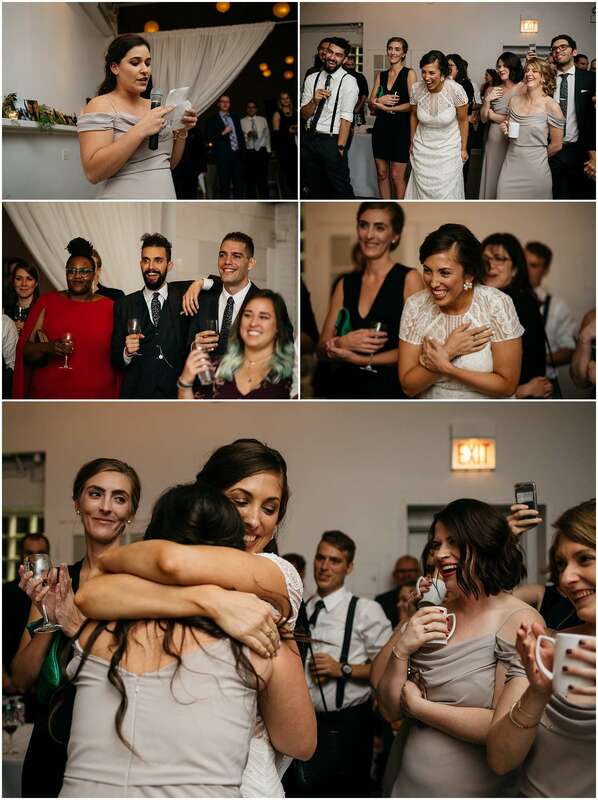 How they met: Alex and Ryan met out of happenstance at a bar in Chicago. Ryan was getting his architecture degree and Alex was an intern at a PR firm. Alex had somewhat given up on finding “the one” so their meeting was entirely unexpected. The night led to dancing, which then led to a sushi date. There were no awkward gaps in conversations and they talked for hours on end. 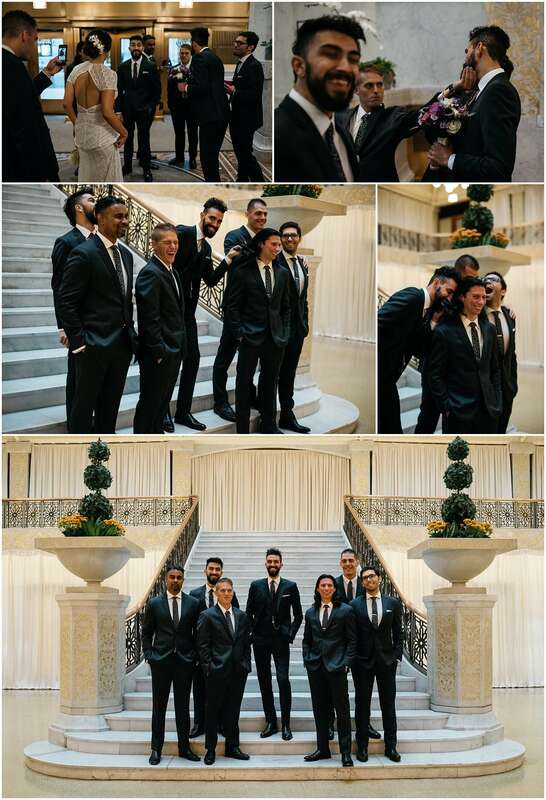 The proposal: As an inside joke, they started to call themselves the Bookhouse Boys – a secret society that fights crime from the TV show Twin Peaks. The underlying meaning was that they always had each other’s backs. One morning, Ryan took Alex to brunch and on the walk afterward, he gave her an official Bookhouse Boys patch followed by a ring! 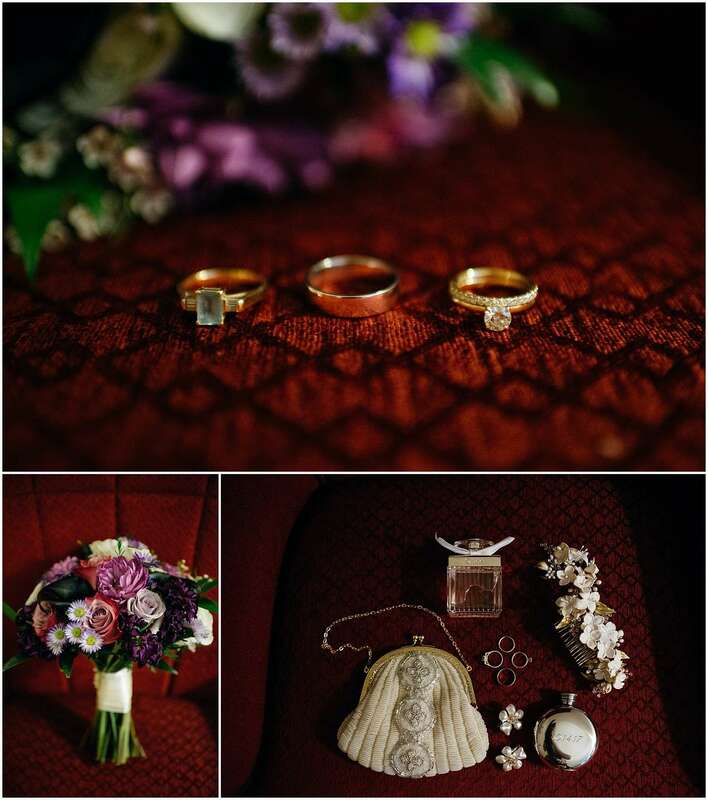 The wedding day: It was a typical fall day in Chicago – windy and rainy. 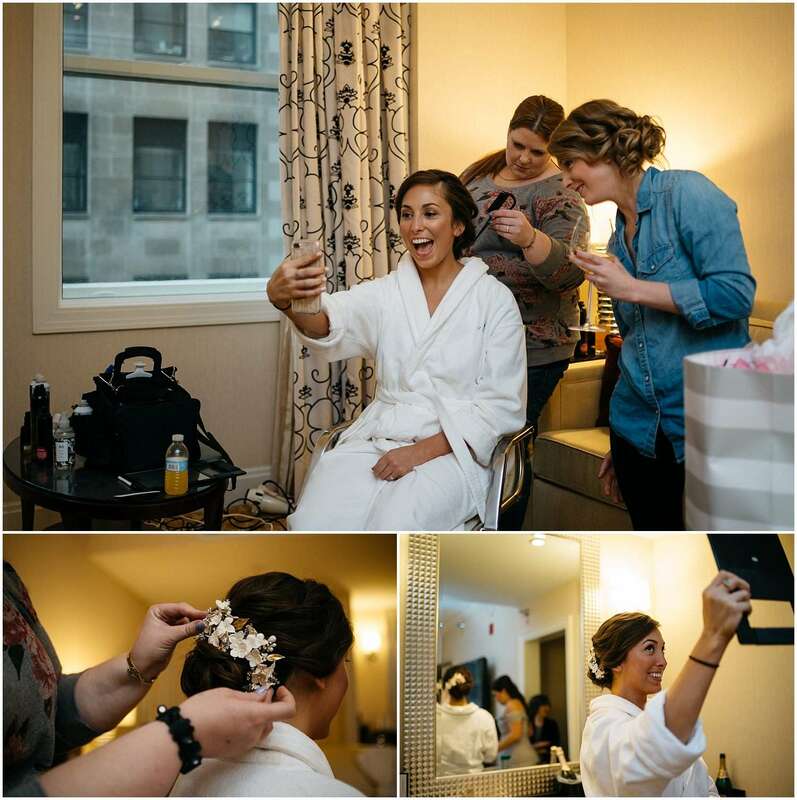 I met with Alex and her bridesmaids at the JW Marriott Hotel where they were getting ready. There were so many sweet moments between Alex and her grandmother. 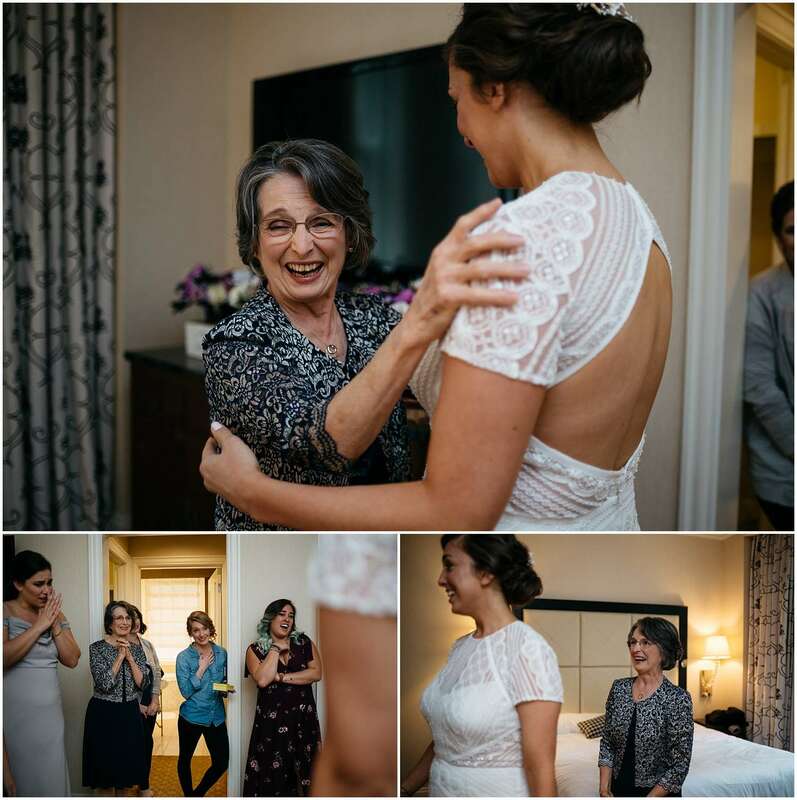 She was so enamored by how beautiful her granddaughter looked! 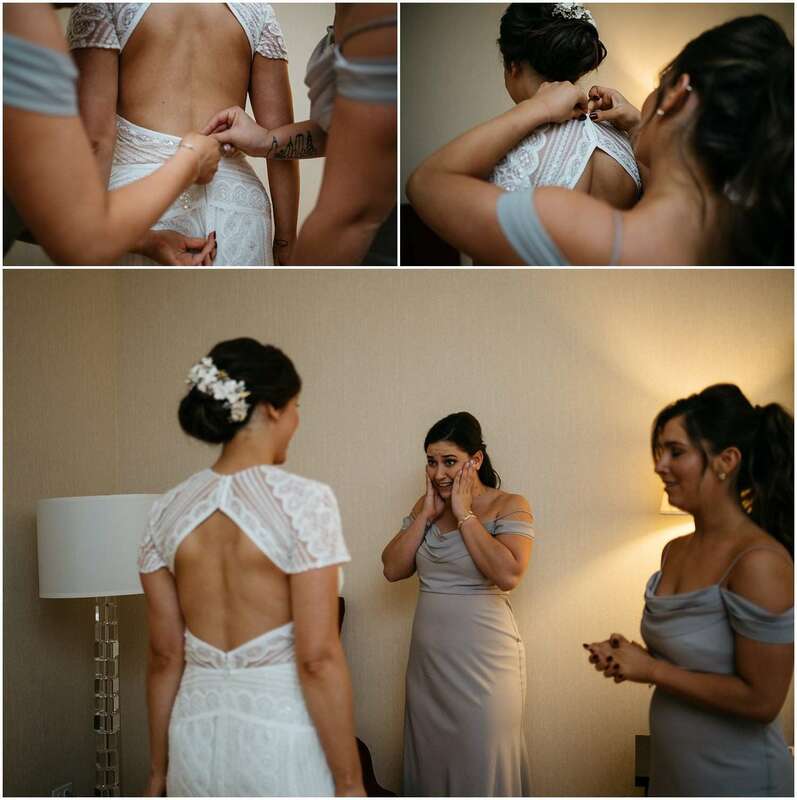 Her sophisticated Watters gown from BHLDN was just stunning. 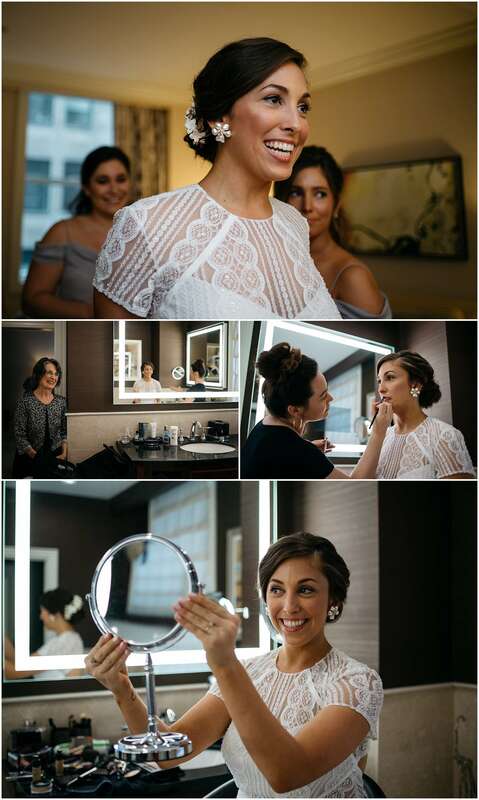 Alex and Ryan’s first look took place across the street from their hotel at The Rookery Building. I love this historic building so much – it’s considered the oldest standing high-rise in Chicago and the lobby was remodeled by Frank Lloyd Wright. 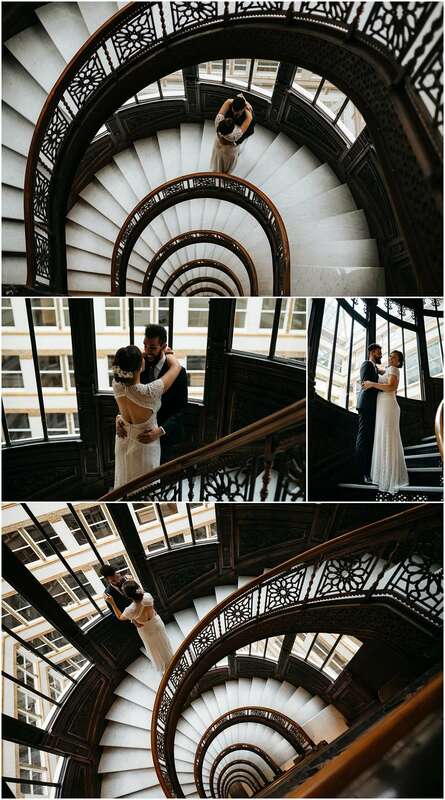 The ornate staircase was the perfect spot for their first look and portraits. 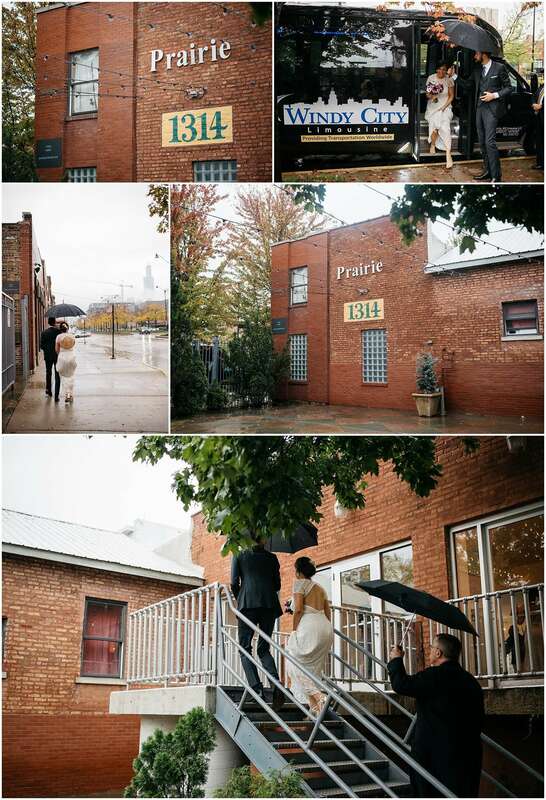 Their ceremony and reception took place at Prairie Production in the West Loop. 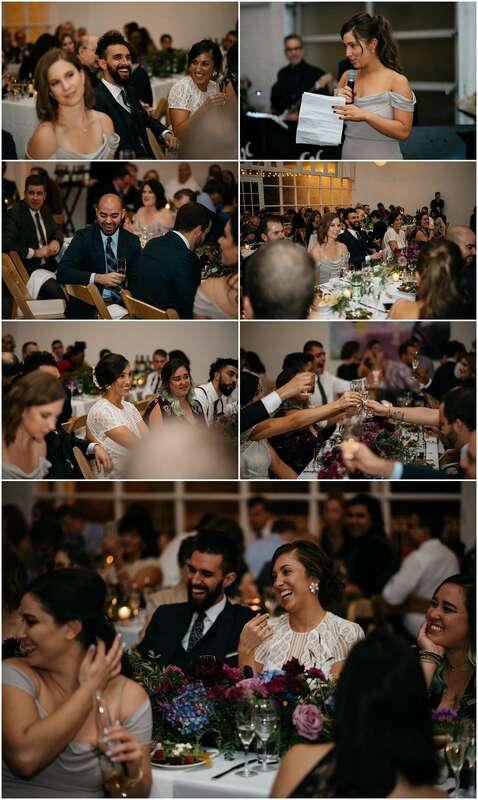 I love the loft-style of this venue with the large windows and intimate feel. The art piece hanging on the wall at the ceremony was an interpretation of one of their engagement photos painted by the groom’s sibling! The rest of the evening was so fun. Alex and Ryan are quirky in a great way. I loved all the funny and sweet looks they gave each other throughout the day. 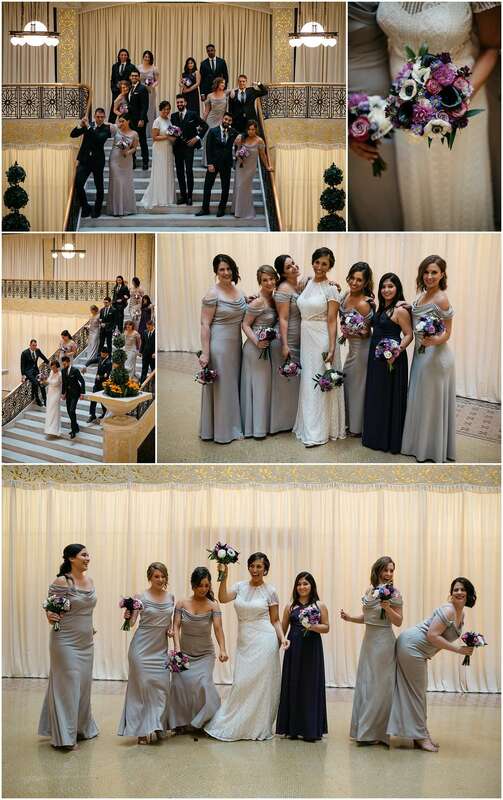 Their bridal party was so entertaining. 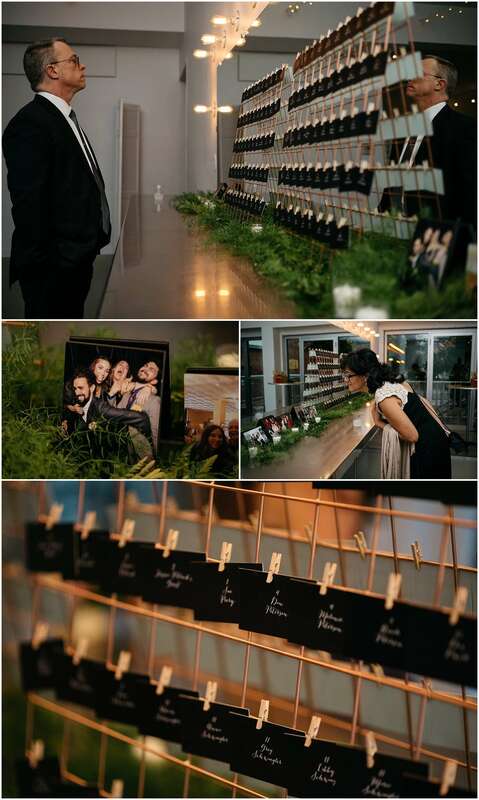 There definitely wasn’t a dull moment during this day!